The overuse and misuse of antibiotics in the meat industry is contributing to the rise of antibiotic-resistance in the U.S. and across the world. This serious public health issue is estimated to kill 10 million people a year worldwide by 2050. In the U.S., antibiotic-resistant infections cause over two million illnesses and 23,000 deaths each year, costing society between $55 billion to $70 billion each year. The majority of antibiotics in the U.S. are given to animals that are not sick; they are mixed into animals’ food and water to make them grow bigger or to prevent illness in cramped and unhealthy environments. As You Sow engages companies to promote responsible antibiotics policies throughout their supply chain. We advise that companies phase out the routine use of antibiotics in livestock, especially in classes of drugs important for human health. We also advocate for strong animal welfare policies certified by third-party organizations, which can decrease illness rates in livestock and improve brand reputation. This work is supported by Rachel’s Network. A community of women environmental funders, Rachel’s Network catalyzes the collective power of its members to influence social, political, and economic systems to advance a healthy, thriving world. Network members are deeply concerned about the growing threat of antibiotic resistance and believe that tackling the overuse of antibiotics in animal farming is an important step toward creating a more sustainable food system. Antibiotic resistance occurs when an antibiotic loses its ability to effectively control or kill bacterial growth; in other words, the bacteria are “resistant” and continue to multiply in the presence of therapeutic levels of an antibiotic. Resistant microbes may require other medications or higher doses – often with more side effects, some of which may be life-threatening on their own. Some infections become completely untreatable due to resistance. One of the main causes of antibiotic-resistant bacteria, sometimes referred to as superbugs, is the overuse and misuse of antibiotics in the meat industry. Antibiotic resistance is projected to kill 10 million people a year worldwide by 2050. In the U.S., these infections cause over two million illnesses and 23,000 deaths each year, costing society $55-70 billion. In 2011, livestock consumed 80% of all antibiotics sold in the United States, and more than half of these antibiotics are considered important for human medicine. 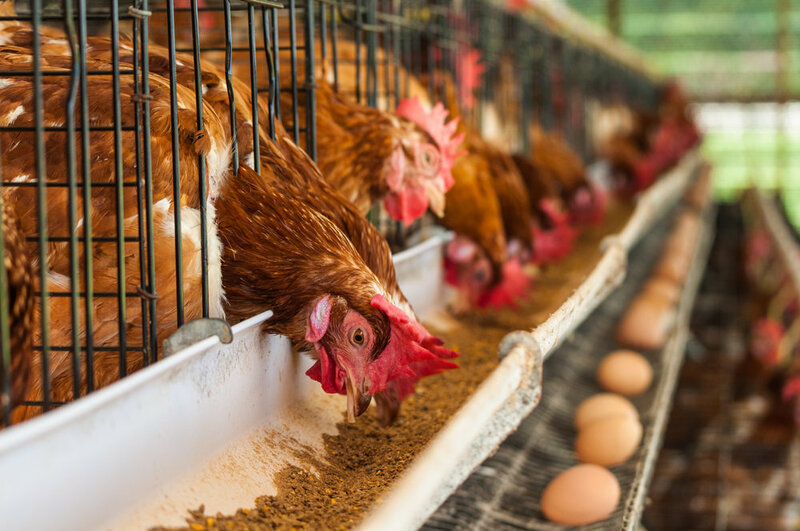 The U.S. Department of Agriculture has determinedthat much of the antibiotics use in animal feed provides little therapeutic benefit to the animals. Nevertheless, the Food and Drug Administration permits extensive use of antibiotics in animals, including the same or similar antibiotics as those used for the treatment of humans. As You Sow engages companies to promote responsible antibiotics policies throughout the supply chain. For more information on this issue, visit the CDC’s Fact Sheet on Antibiotic Use in Food-Producing Animals.